Unwanted guests are never fun, especially when you can’t ask them to leave. Luckily, Forest Hills pest control companies have no problem kicking them out. Whether there’s a rodent in your basement or insects in the attic, call your local Forest Hills exterminator to take care of them — do not try to wrangle them out yourself! Not sure which type of home pest control service in Forest Hills, NC can tackle your issue? Read profiles and ask about their past experiences to get a good idea. The Best Price, The Best Service, The Best Guaranteed When you choose ValuePest we guarantee you three things. You will receive the best price, the best service and the best guarantee in the pest management business. Work With A Pest Prevention Company You Can Trust Calling the expert technicians from ValuePest is the smart choice. Not only do we charge by the job instead of by the hour, we provide an accurate quote before any work begins. When you call ValuePest, you can be confident knowing that you will be working with highly trained, polite in-home service professionals who are interested in helping you find the right solution for your current and future pest issues. ValuePest. Committed To Your Complete Satisfaction. If you are ever unsatisfied with the results of our service, we’ll provide corrective service at no additional charge. After 30 days, should your problem persist, we’ll continue to provide service at no additional charge until you are satisfied, or we’ll refund your last regular service payment. 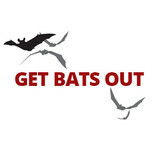 With over 25 years in bat removal we are THE industry leader. We have the experience you can have faith in to get your bat removal project done right the first time. We provide professional pest control services that are safe for everyone and the environment. Customer service is our top priority. We understand that unwanted home invaders present a threat to your home, your peace of mind, and at times your family. 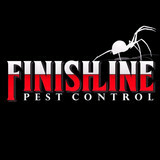 We will utilize the latest in pest control technology to safelyand effectively remove, and keep out unwanted visitors. 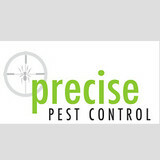 Precise Pest Control will employ knowledge and experience in order to keep you satisfied and keep the bugs safely away. We make bugs our business so you don’t have to. PROTEKT Pest Solutions is a local pest control company that provides superior service at affordable pricing. At Smith Exterminating Company, we know that a good pest control company can be hard to find. If you’re in the market for a professional exterminator in Raleigh, North Carolina, or surrounding areas in the Triangle: Look for a licensed pest control company that is a member of a national, state or local pest control association. Make sure the company has liability insurance to cover any damages that may incur at your home during treatment. Fully understand the extent of any infestation and the work necessary to solve the problem. Fully understand any guarantees that are provided in terms of coverage and length of time. Address: 3728 Conquest Dr, Garner, North Carolina, 27529 Sage Pest Control serves the communities and Raleigh and Charlotte, NC, and the surrounding areas with environmentally-aware, safe, and affordable pest control services. Whether it’s ants, spiders, wasps, or rodents, we can make your pest problem go away. We also specialize in bed bug removal and termite control, and we can provide commercial pest control as well. Call Sage Pest Control today to learn more: 919-338-5000. For many decades the Sauls family has owned and operated many businesses and has become a trusted name to the people of the Cary and Wake County area. Sauls Cary Pest Control, Inc., incorporated in 2004, is no exception to the list of service providers bearing the Sauls name. 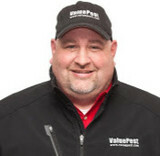 Mike Sauls has over 26 years of expertise in the pest control industry, serving the people of Wake County. He is a native of Cary, who is very loyal to the people and the area.Mike is eager to serve you with your pest control needs. Please contact Sauls Cary Pest Control, Inc. for a fair and reasonable rate! Please let us know how we can be of service to you! Contract Killers owner, David Ross, has 15 years of experience as a pest control professional serving residential, commercial and industrial customers. He started Contract Killers in 2012 as a means to incorporate his own personal values in his work and to elevate his level of service to customers. Celebrating our 50th anniversary, Booth Exterminating Company Inc. is one of the leading pest control companies in Cary, North Carolina. Our team is trained and experienced to remove mice, ants, spiders, roaches, and a long list of other types of pests in order to protect your property in the long term. We also take care of any termite problem, including termite inspection for new homes. Lawn after our mice control services in Raleigh, NC Since 1966, we've worked diligently on both residential and commercial properties, providing each customer with our high level of knowledge and honest service. At Booth Exterminating Company Inc., you can trust that a service technician will visit your property in a timely manner and perform a thorough evaluation to determine the type of treatment that's needed. Upon request, our team of professionals also provides preventative treatments to ensure that your home or commercial building is protected in the future. Our company is service oriented with products and treatments that are available at a reasonable price. We will also meet or beat any competitors' price. Whether you need termite control or general pest control, our staff is here to alert you to areas that are contributing to your pest problems and to eliminate them immediately. We also serve Raleigh, Apex, Knightdale, Morrisville, Holly Springs, Garner, and Clayton. We welcome inquiries and provide free estimates, so give us a call today at (919) 481-4741. Experts in Bee Treatment and More Choose only a reliable pest control contractor in Henderson, NC like Branch Exterminating Co., Inc. We specialize in carpenter bee treatment among others. Whatever kind of harmful pest is lurking around your home or commercial space, expect that we can give you a hand. We will exterminate those unwanted visitors the right way. Our Pest Control Services Are: Child Safe Eco Friendly Pet Safe Services Locations: Franklin County, NC Granville County, NC Vance County, NC Wake County, NC Warren County, NC Trusted for Over 50 Years We have been in business for over five decades. Over these years, we are proud to say we have managed to be at the top of the game. This is all possible through our team of highly-skilled and dedicated pest control experts. Besides our perseverance and genuine concerns for our clients, we also see to it that we make use of the best pest control practices and solutions in town Let Us Work Hand in Hand Are you still worried about the unwanted insects and animals that make your home or retail space a less ideal place to be in? Put your worries away for we are here to help you. Through our expertise in pest control, we will get rid of those pests immediately. Call us at 252-438-6985 for more information. ProForce is committed to exceeding your expectations. We don’t just want to get your bugs, we want to simplify your life, make your business more productive, and make your home a safer place to live. ProForce services the Raleigh/Durham surrounding area . WOW: It’s no wonder why some of the greatest companies have a “wow principle” as a value. At ProForce we make sure to go the extra mile in all aspects of our service, leaving every home and business in a state of wow. Learn, Educate, Innovate: We are committed to staying at the forefront of our industry by always learning, always educating, and always innovating. We know that through the recent technological advances in the pest control industry, we can revolutionize your service in order to make your life more comfortable, safer, and more productive. Internal Compass: Have integrity, be honest with others, and also with yourself. We believe that we will always be our best selves if we can answer yes to this simple question: did I do my best? At United Pest Management, Inc., we understand the damage that can be caused by pests, both inside and outside of your home. Locally owned and operated since 2001, we have the experience to provide you with maximum protection against pests of all shapes, sizes and varying beauty. Champion Pest Services provides professional pest services for residential, commercial, and industrial clients. We pride ourselves on providing dependable, courteous service. Our integrated pest management systems include EPA-registered chemical applications, baiting, trapping, and other methods of controlling and managing your pests. Call us to receive your estimate for a tailored service plan based on your individual pest management needs.